If you’ve ever bought anything from a store, you’ve encountered retail marketing. What is retail, exactly? A retail sale happens when a company sells their product or service to a customer. The sale can take place in a brick-and-mortar store or online through an e-commerce website. In addition, retail sales can also take place through direct mail, like when you order something from a catalog, and direct sales channels, such as through an Avon representative. Retail marketing involves bringing awareness to a business’s products and services with the intention of making a sale. The goal of retail marketing is to get customers interested enough in the retailer’s goods and services that they decide to make a purchase. There are a number of different strategies retailers can use in their marketing campaigns to ensure a successful return on investment. The four main components of retail marketing include product, price, place and promotion. These are also known as "the four Ps of marketing." By carefully considering each of the four elements, retailers can ensure they are targeting their customers correctly so they can increase their revenue. What Are the Different Types of Retail Outlets? The types of retail outlets vary greatly and depend on what kind of goods and services they sell. Goods can range from long-lasting hardline items such as cars and furniture to perishables like groceries, drinks and baked goods. Consumable products include toiletries, clothes and shoes. Another category of retail items is art, which includes books, musical instruments and fine art. Department stores are one of the most common retail stores in the United States. Examples include Target and Macy’s, where customers can purchase a wide variety of goods all in one place. Big box stores are a kind of retailer that specializes in one kind of product, such as furniture, electronics and home goods. Examples of big box stores include Best Buy and Ikea. Some retailers focus on price, such as discount stores. These retailers sell their products and services at a lower cost to increase the number of sales they make. Some of these stores offer their own in-house brands, in addition to other brands. Walmart is an example of a discount store. Warehouse stores also focus on providing their customers with low prices. For many warehouse companies, such as Costco, customers need to purchase an annual membership in order to take advantage of their low prices. Local neighborhood stores, or mom-and-pop shops, are smaller retail locations run by entrepreneurs and small business owners. They usually have just one location and offer a niche product or service. Some mom-and-pop shops, such as convenience stores or corner stores, offer a variety of products within the same category, like groceries. Many retailers don’t have a physical location and only operate online. These can range from large, multinational corporations like Amazon to small, one-person businesses. Online retailers conduct purchase transactions through an e-commerce platform and ship their customers' goods to their homes. Before you can figure out your retail marketing plan, you have to ensure you have the right product. Many small businesses focus on a niche element of the market, such as handcrafted furniture, while others sell a range of products, such as a local hardware store. In addition to the product, retail marketers need to carefully consider the package in which the product comes. For many brands, the packaging is part of the product experience, not just a vehicle in which to carry it. Consider iconic retail brands such as Apple or Tiffany and Co. Each brand is distinct, but what they have in common is their memorable and unique packaging. Products aren’t the only retail goods that need to be packaged. Services, while not always tangible, can also be packaged in an attractive way. While services don’t require a complex package, something as simple as an envelope with a logo on it can do the trick. It can then be used to hold a print-out of the service purchased. While small businesses don’t need to spend a fortune on packaging, it is something they need to consider carefully. Consider a small business that sells chic, environmentally friendly clothing for women. Instead of putting the purchased clothing in a regular plastic bag, the small business may consider developing unique packaging that speaks to their target market. Instead of plastic, they could opt for recycled paper bags with a tasteful logo on it and include information on how to reuse and recycle the bag after use. Price is one of the most important elements of a retail marketing strategy. There are two different ways to establish a price for a product or service. Cost-plus pricing involves figuring out the total cost of making the product, including materials, labor and overhead. Then, retailers add a desired profit margin to the cost to arrive at the price they want their customers to pay. Another pricing strategy is value-based pricing. This method involves figuring out how much the product or service is worth to the consumer. For example, if a business sells loose-leaf tea, using the cost-plus model may establish a price that is low. Using a value-based pricing model can help the retailer to establish a price that considers what the customer thinks that product is worth to him, which may be more than the cost-plus model. For example, if the small business that makes environmentally friendly clothing for women pays $7 in materials and labor for each shirt, they may choose to use value-based pricing to achieve higher revenue. If their target market puts emphasis on their clothes being made in an environmentally conscious way, they may go out of their way to find a retailer that caters to that mindset. Instead of paying $30 for a shirt, they may pay up to $50 if they can be assured that the clothing meets their environmental standards. The retailer needs to convey the value of their products and their pricing strategy through their marketing efforts so the customer understands what the product is worth to her. Location, location, location. While that’s the mantra in real estate, it also applies to retail. It’s important to select the right place to conduct business with your target market. Retailers generally select their location based on where their target market shops. For many retailers, this means creating a presence at a shopping mall or a retail-heavy area. Some retailers choose to only offer an online store. This can be based on a number of factors, such as saving on rent and other overhead expenses. Depending on the product or service they’re selling, a brick-and-mortar location may not be necessary if the target market mostly shops online. Some small businesses sell their products and services through multiple retailers. For example, a small business that makes homemade preserves may sell their goods weekly at a local farmers' market. They can also create partnerships with local retailers to sell their goods through those stores. Additionally, they can get their preserves into nontraditional locations, such as coffee shops. The location of the business needs to fit into the overall marketing strategy. In the case of the small business that sells environmentally friendly women’s clothing, they may consider an online-only store. Because their target market cares about their clothes being made in an environmentally conscious way, they also may care about reducing greenhouse gas emissions and waste. As a result, they may choose to do much of their shopping online and may value retailers that tout their environmentally conscious practices. As a result, this small business could benefit from not having a retail store because their target market would not buy from it. Retailers need to consider how they call attention to their products and services. While promotions are used to increase sales, they have other objectives as well, including creating brand awareness, competing effectively with similar products and promoting new products and services. The marketing mix, or the promotion mix, refers to the methods retailers use to promote their business. The mix consists of advertising, publicity, sales promotion, direct marketing and personal selling. While not formally part of the mix, sponsorship and events are other tactics retailers have at their disposal. Advertising takes place when a company pays to disseminate a message about a product or service to many people at one time. Organizations can advertise on television and radio and in magazines and newspapers, as well as through direct mail. In addition, the internet includes a number of ways for businesses to advertise, such as through graphic ads, search ads, remarketing ads and social media ads. Small businesses often find online advertising more cost effective than traditional advertising. Publicity, or public relations, refers to communication that helps to improve an organization’s image or promotes a product or service. Publicity vehicles include press releases, press conferences and interviews. Larger companies often have internal public relations departments, while small businesses rely on the marketing person to utilize publicity vehicles. Some companies outsource their publicity campaigns to other organizations that specialize in that area. 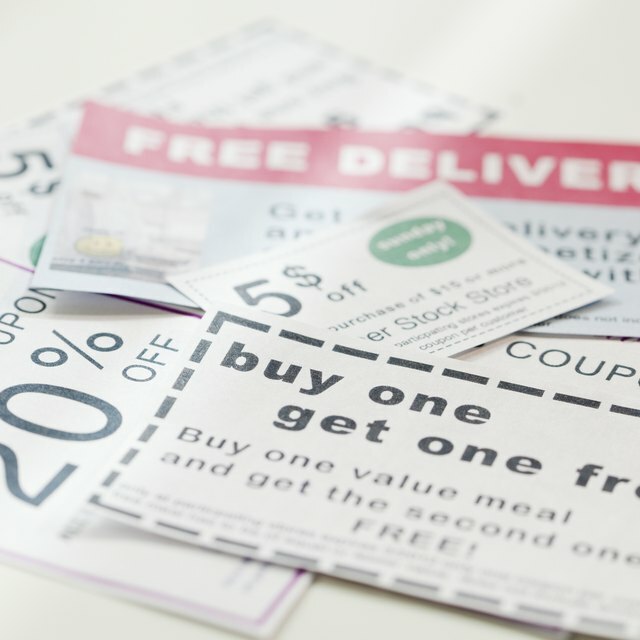 Sales promotions include short-term incentives like coupons, contests, rebates and games that are designed to get customers to take action quickly. Sales promotions can be used to incentivize new customers to try a product or service they haven’t used before or to build loyalty with existing customers by offering them more value for their money. Direct marketing consists of highly targeting the customer base and sending individualized messages to elicit sales through mail, email or telephone. The success of a direct marketing campaign relies on how well the consumers have been targeted, the quality of the contact list used and the offer that has been tailored to them. Personal selling involves a seller developing a relationship with a buyer. This interaction can take place in person at a retail store, online through an e-commerce store or in person at a trade show or conference. The key to making a transaction is how well the seller cultivates a relationship with the buyer. While sponsorship and events aren’t officially part of the promotion mix, they are a tactic used by many big and small businesses. Sponsorship involves offering financial support for events or other initiatives in return for generating positive publicity. Companies can sponsor events such as local farmers' markets, children’s sports games or industry conferences. Many organizations promote their products and services through events. These can include trade shows or industry events, as well as more intimate gatherings that they host on their own. A small business can select aspects of the promotion mix that work for their brand, consumers and products or services. For the small business that sells environmentally friendly women’s clothing, they may choose to advertise online, targeting customers through specific search terms that relate to their business. In addition, they can attend trade shows related to environmentally friendly products, as those are likely to be filled with consumers who are interested in that market. In addition, that business could launch a publicity campaign that talks about their new environmentally conscious packaging, as well as start a sales promotion that offers 25 percent off orders over $100. There are a number of retail marketing strategies that small business owners can use to increase their revenue and attract more customers. A popular online advertising tactic is to use remarketing ads. This is a great way to remind customers who have already indicated interest in the business by visiting the website that they should buy the product or service. Another great strategy that small businesses can use is to celebrate all the holidays by offering relevant sales promotions. Holidays can include major ones, such as Valentine’s Day and Thanksgiving, in addition to smaller ones, like National Siblings Day and Candy Corn Day.